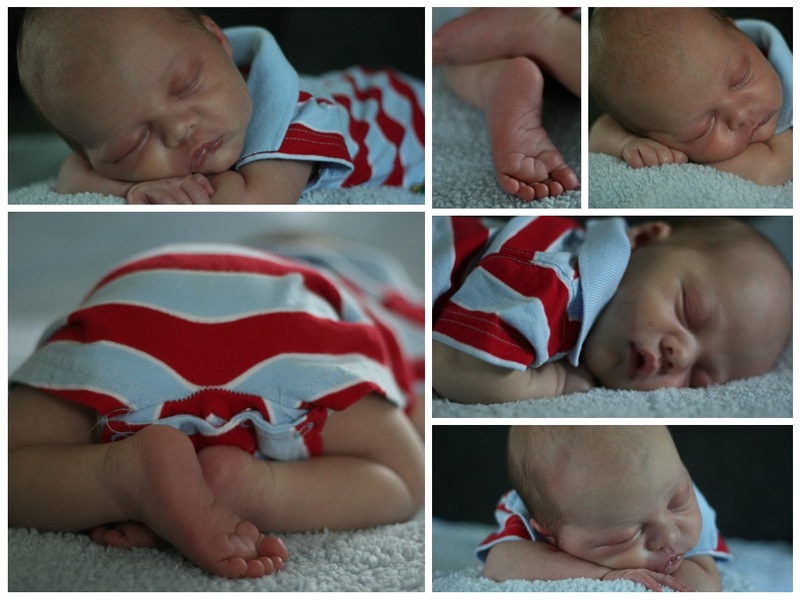 While Logan napped today, I got out the camera and held my own mini photo shoot. It would have worked out a little better if he had no clothes on but the chances of me getting his outfit off and him back into a pose were slim to none so we worked with what we had. He sure makes for one cute subject!